Phil Smith, director of Snoworks discusses the skiing journey and the evolution of the Snoworks programme. It reminds me of the skiing journey. You’ve arrived. The journey is over. You’ve reached your peak. But have you? Is it ever over? Where does the journey end? Tackling your first red run, skiing the fall line on blacks, skiing bottomless Japanese powder, skiing off the top of a volcano in Chile, hairing down a race course at warp factor 5, cracking leg rotation, ripping out a perfect carved turn. At Snoworks we’re committed to the skiing journey ‘never ending’. Changing yes, switching to-and-fro yes, ending no. I started skiing at 12, competed for England at 18, became a BASI Trainer in my late 20’s and trained instructors to the highest level. In the early years performance and racing was my thing and as a BASI Trainer I was definitely on a technical journey that was for sure. These days mountains, off-piste and adventures send a smile right across my face although I still really enjoy working on technical development and getting into the gates albeit not at the level I used to enjoy. The skiing journey can be endlessly varied. It can be developing technical excellence, tackling more and more demanding terrain, searching for deeper and deeper powder. It can be discovering new destinations, integrating into a new cultures, meeting new skiing friends. Your skiing journey can be as open and varied as the mountains themselves. So what is the Snoworks journey? Over the years we’ve worked hard structuring a programme to help with many different journeys. We’re totally aware of all the different journeys available and structured a programme catering for them all. Here’s a brief look at the different journeys. 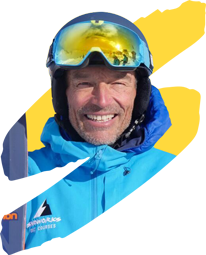 The performance Journey is about getting better at tackling the mountain environment moving from Blues, to Reds, to Blacks, to Frontside Off-Piste, to Backside Off-Piste, to Steeper and Deeper. Discovering how to cope with ice, bumps, bad visibility, fresh snow. We even created an extra performance level a few years ago – Extreme. We’ve worked hard on developing philosophies to help skiers perform better and better in the mountain environment. The All-Terrain and Off-Piste were the courses originally developed with the Performance Journey in mind and remain to this day amongst our most popular courses. The technical Journey is for those who are interested in developing their technical expertise. This journey originally begun in the All-Terrain and Off-Piste courses but for those more dedicated to developing technique we’ve recently gone a step further and structured courses specifically around this journey. The Spring Summer and Autumn aptly named Technical Courses are for those skiers who revel in technical development. For some the journey continues into Extended Performance Training and may even culminate in enrolling on the Snoworks GAP level 1, 2, and 3 Ski Instructor Courses where technical precision is a pre-requisite. This Mountain Journey is for the pure joy of skiing in the mountains where every run is different, every slope is unique. The Mountain Journey is for skiers who revel in the sheer excitement of skiing amazing destinations. A Backcountry route off the back of Stuben in St Anton, a small traverse from the piste to some untracked powder, a skin up to the top of the Foglieta in Ste Foy. Those on the Mountain Journey ski with a smile on their face all the time and just love being in the mountains. All-Terrain Safaris, Backcountry and Backcountry Access were specifically developed with this journey in mind. The Adventure Journey is something very dear to our hearts. We begun this journey many years ago with our first ever trip to South America and were blown away with the scenery, the culture, the skiing and most of all the people. Since, we’ve added, Japan, Kashmir, Norway, Iceland, Turkey. We’re working on Kyrgyzstan and Iran and hoping to add Lebanon and China. The adventure journey is for those who like to travel, like to see the world, like to integrate into new cultures and love meeting new people. We try to add a new Adventure every year or two. 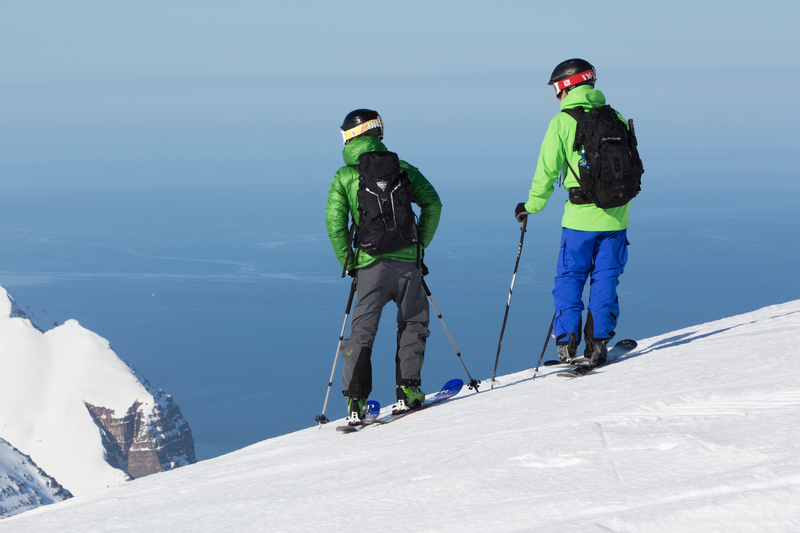 Our objective – ski and see and experience the world! The Racing Journey is for those who love the thrill of speed, accuracy, adrenaline. It begins at Race Carve for adults and Junior Race for younger skiers and progresses through to Race Camps, Masters Racing and Alpine Ski Racing. Local, regional, national and international ski racing. It’s an adrenalin filled roller coaster, where Ski Sunday is the inspiration and skis are narrow underfoot with sharp edges. Firm snow is the name of the game and the clock the only judge. The skiing journey just as other journeys in life is not linear, it’s full of twists and turns and tos and fros. Many factors effect the journey, fitness, age, weather, snow and experience. The Snoworks programme has been shaped with many journeys in mind catering for everyone and every journey. Every season shapes the next. Every course the next. Enjoy the moment. What’s your journey? Click for the whole Snoworks programme.